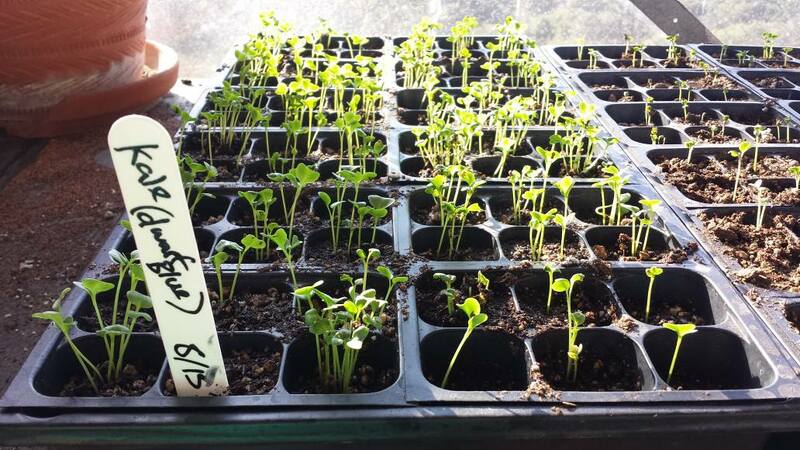 I remember years ago walking with my grandmother to water the seeds and starts growing in her beautiful greenhouse. My grandfather built it from the ground up with his own two hands. He designed her beautiful greenhouse to have floor to cieling glass windows a wonderfully large and stury work bench wrap all the way around the inside work space and overhead misting system to help maintain temperature and humidity for the plants. I remember one year we had an incredibly hot summer and a few specially rough earthquakes and discovered one of the large glass windows had shattered. Although my granfather repaced it for her, my grandmother was never able to really utilize her greenhouse the way she wanted. Years and years passed, it sat empty and unused the whole time…. and then we moved in and rebuilt the garden and farm. Right now I am preparing for a “Cold Season” Garden which means lots of brassiac family foods and things that like the cool weather…. 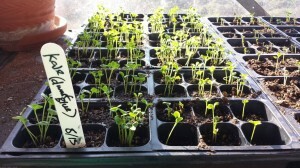 broccoli, cauliflower, cabbage, kale, bok choy, lettuce, carrots, beets, raddishes, onion, some potatos…. 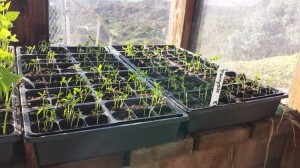 the list can go on an on for California Zone 9 “cool season” crops….. 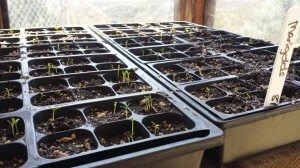 I am SUPER excited for this next set of crops because not only will they be wonderful tasty produce for this winter season, but ALSO great for juicing which seems to be the cool thing to plant for now a days…. So here it is, my array of seed packets, ALL USDA Organic certified to meet our organic standards and my order of flats and seed germination soil was delivered. My Dear Husband repaired the misting system overhead and I organized the pots and trays around on the workbench… the greenhouse was ready. 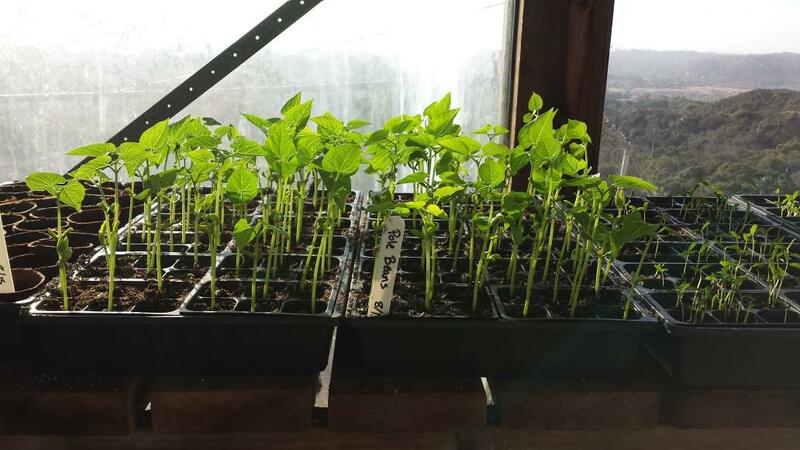 Here is a little timeline of the seeds we have growing in the greenhouse right now and will soon be transferred over to the big beautiful garden beds that were completed recently. First I planted Marigols. I know, I know they arent a vegetable, BUT they are a very vibrant flower that has a strong scent known to deter mosqutos and other pests in the garden. Any kind of natural pest control is worth my time and effort growing it from seelings. 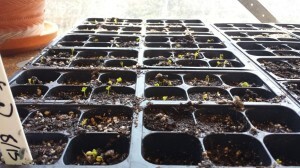 and look here they are just a little while later growing strong and steady. 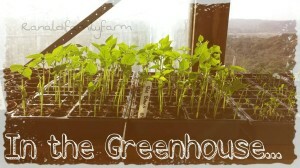 they will be ready to be planted in no time! Pole beans are so amazing and delicious and very easy to grow if you dont mind taking the time to help them climb high to the sky. 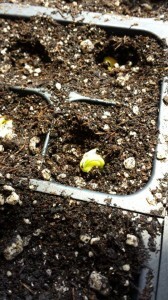 I also love how beans grow, the sprouts literally life the cracked bean up out of he dirt and up into the air as the plant grows higher and higher. Finally it dries up and falls off and big beautiful leaves begin to form. 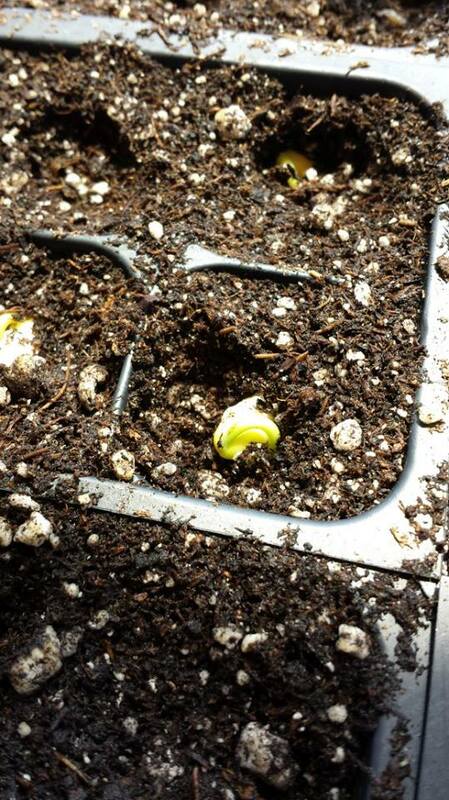 Its SO amazing how much change there is in my little seed-babies in just one week! I have a few more flats of a variety of things, but these were the best photos of the bunch. 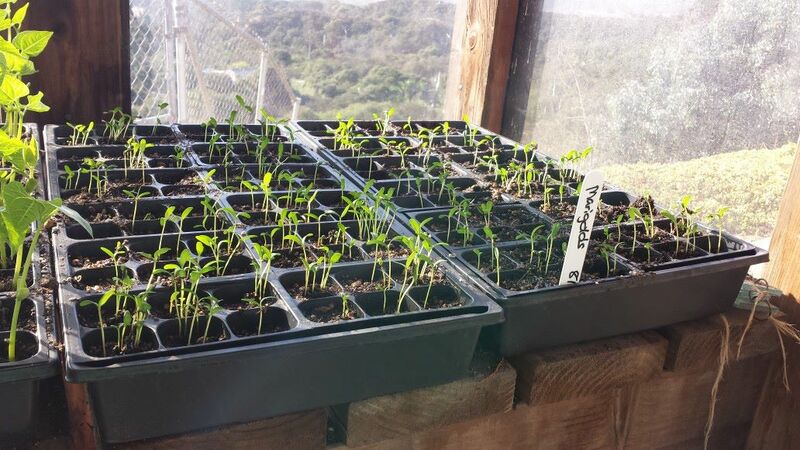 If you are as excited as I am to watch these little seedlings grow, stay tuned, more babies will be going into the flats next week and these healthy kiddos will be going into the big garden beds shortly after! There is just something SO rewarding about waiting for a vegetable harvest coming plants that grew up from itty bitty seedlings you nurtured and cared for. The fruit of your labor tastes just a little sweeter, I think so anyway….